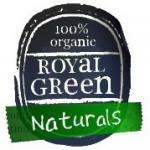 Royal Green Algae Oil supplement. Algae oil, corn starch, glycerine and sorbital (supports), sunflower oil, water, carrageenan (gelling agent), ascoryl palmitate and tocopherols (antioxidants), flavour, sunflower lecithin, beta-carotene and caramel (colouring agents). 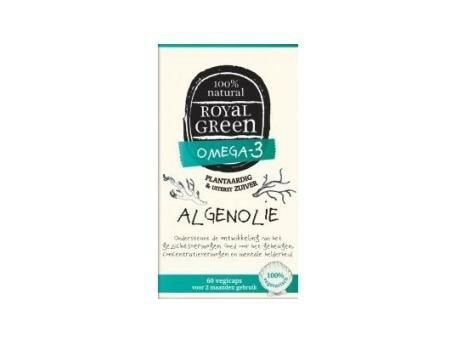 Royal Green has conducted intensive research into the best and purest way of obtaining Omega-3 from a vegetable source. 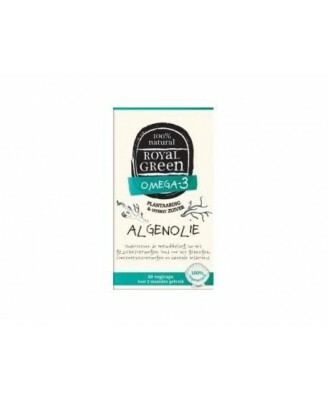 As Royal Green’s Omega-3 is not obtained from fish it is therefore absolutely free from any possible contamination from the ocean. The algae is cultivated in pure fermentation tanks and is harvested and processed into an Omega-3 Oil at exactly the right time. The capsules are very rich in DHA. No Chemicals, No Preservatives, No Synthetic Sweeteners, No Flavour Enhancers, Naturally Gluten-Free, 100% Vegetarian.